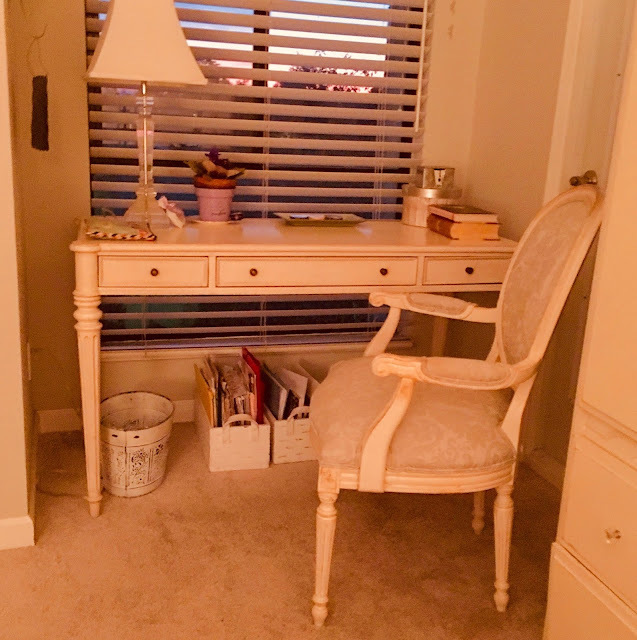 I have decided that I need to create a dedicated space in which to write. Our apartment is north-east facing so during the winter, natural light is limited. We have an enclosed balcony off the living room and den so the only proximal window area is a nook in my bedroom that I was using as a makeup table. Ironically, I wear very little makeup on a daily basis so my best area was being wasted on an activity that takes up less than 5 minutes a day. There's not much sense in that! Monday, I cleaned out my desk and cleared all clutter from my desktop. I pulled out the desk and washed the Venetian blinds and the window sill. I emptied drawers and sorted files. It's a rainy day today so I might tackle another corner of our apartment. Monsieur, Tilde(dog) and I live in 983 square feet (spacious by the standards of most of the world) but it takes organization to utilize our space effectively. In searching for relevant quotations and images on the Internet, I found a new blog for me and for other aspiring writer on the Pacific Coast of North America. It's called The Alchemist's Kitchen and it is written by Susan Rich who teaches creative writing in Seattle. There are lot of useful ideas and links for those who which to learn more about the craft. 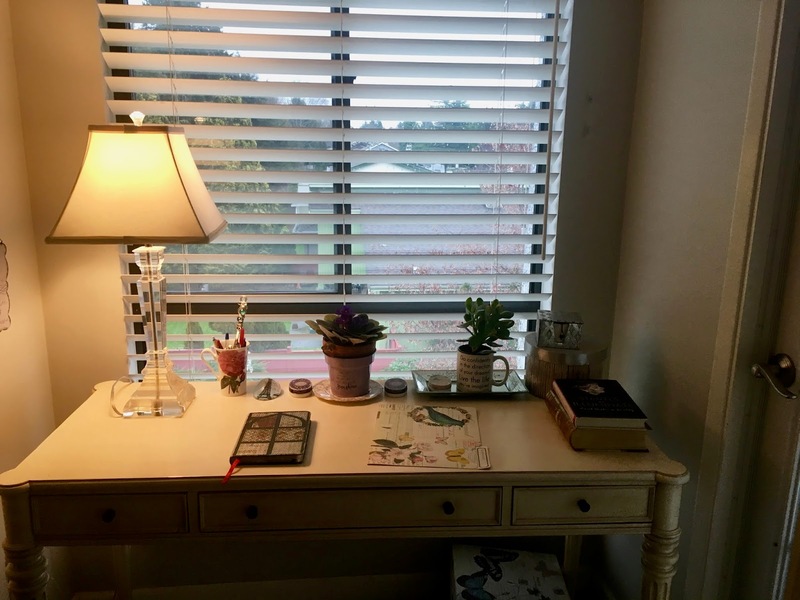 The corner looks lovely and I think that a view outside will inspire your writing. I have a chair very much like yours...it was one of mom's and I have it in my "hobby" room downstairs. That's funny that your mother had a similar chair. When I bought it, I thought it was a perfect "lady's chair". Do you notice anything familiar on the desktop?